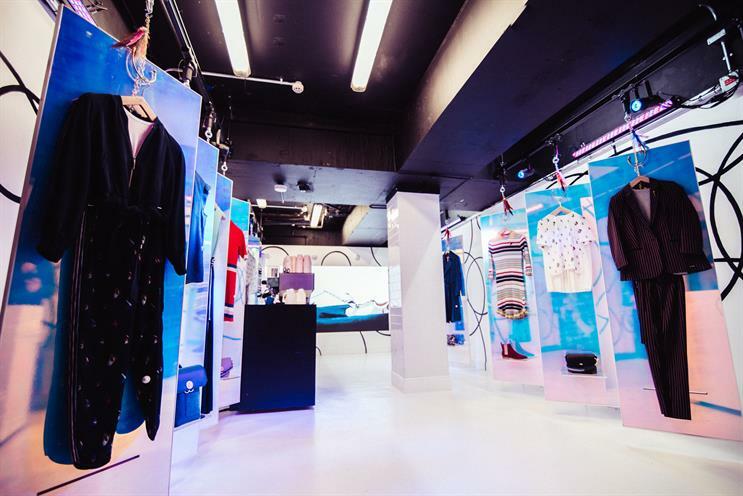 Ted Baker, the high street fashion retailer, has created a pop-up in east London to launch its latest collection 'Colour by numbers'. The activation features a monochrome colour scheme with "translucent opalescent panels laid out in a graphic zigzag pattern". The five-week pop-up will have yoga every Wednesday with "light and colour therapy techniques". For example blue will be used for boosting productivity. On Thursdays the space will be open to walk-in nail appointments. There will also be styling events held by fashion influencers. The new collection will be available to shop and those who purchase something will receive a gift. The pop-up runs from 26 March to 4 May in Old Street station.